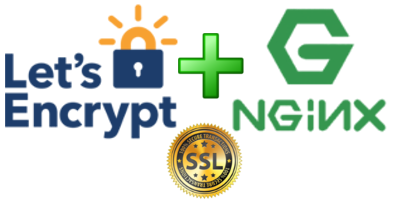 In this tutorial you will find out how you can benefit from these certificates by providing security for your websites. The tutorial was prepared with our "Ubuntu 16.04" template and installed LEMP stack. How to install LEMP please see more information here. In the following, we're setting up mydomain.com. HTML is served from /var/www/html, and challenges are served from /var/www/letsencrypt. Before start please make sure that mydomain.com is pointed by A type record to the server. A DNS A Record that points your domain to the public IP address of your server. This is required because of how Let's Encrypt validates that you own the domain it is issuing a certificate for. For example, if you want to obtain a certificate for mydomain.com, that domain must resolve to your server for the validation process to work. Our setup will use mydomain.com and www.mydomain.com as the domain names, so both DNS records are required.